Sorry in advance if you were on a diet. Cake is a big priority in my husband’s life. The fact that I can bake may well be the reason he married me… His grandfather used to say to him “Marry a woman who can cook and you’ll always be happy”. Not unsound advice for someone who loves food. 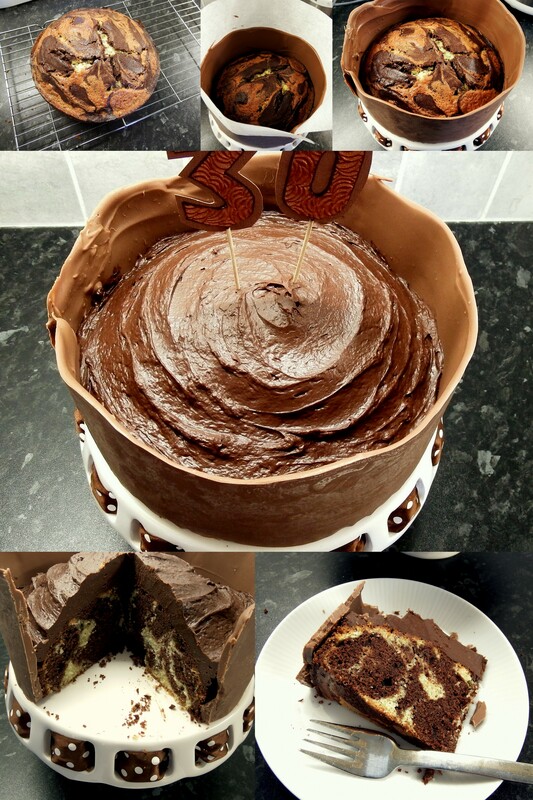 When I asked what he wanted for his birthday the response was “Can I have a cake please?” – as if there was ever a possibility that there may not be cake! 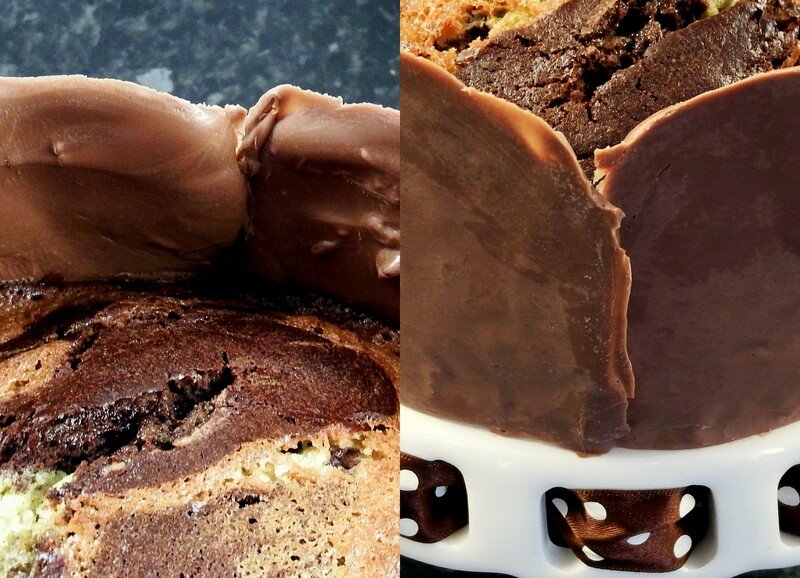 Those of you who love a straight up chocolate cake will be in heaven with this post. Unadulterated chocolate was the request. 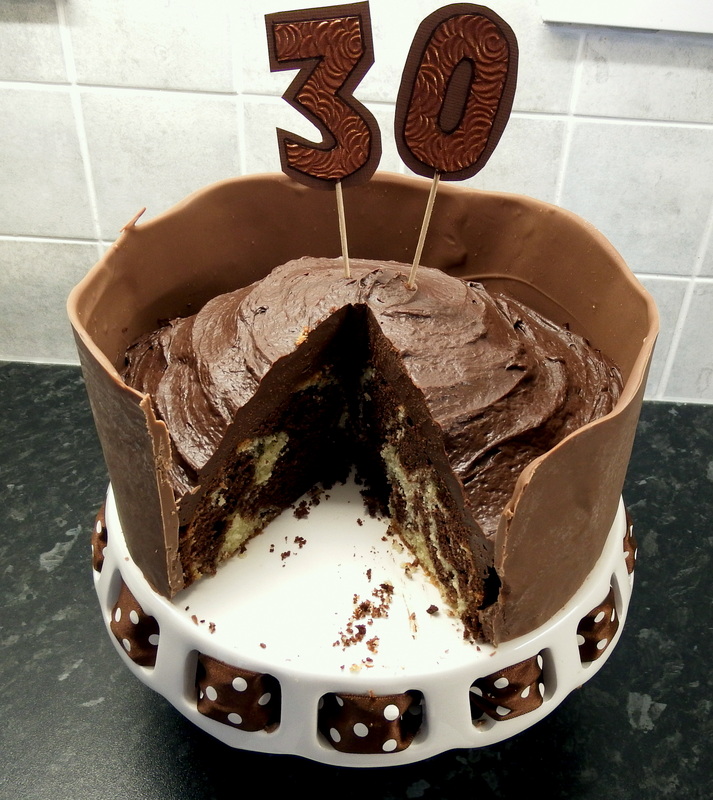 Having gone somewhat overboard with last year’s cake – chocolate brownie with white chocolate cheesecake – I had to get my thinking cap on as to how to better it. 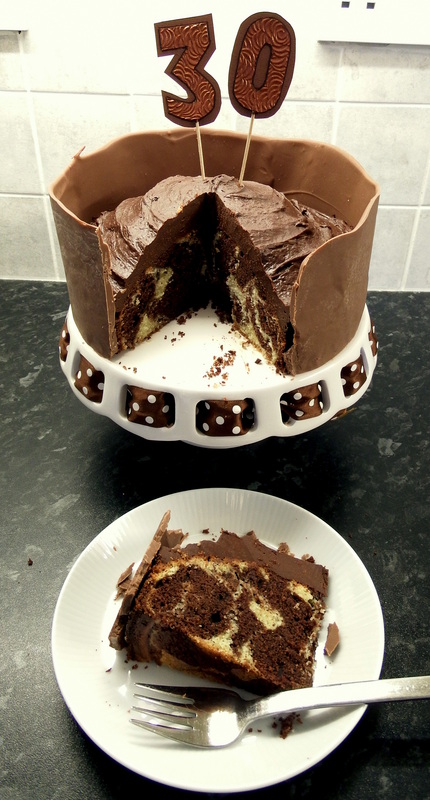 My husband loves chocolate and vanilla so I decided to start with a rather retro marble cake. Having never made one I used this recipe from Good Food. Reading through it seemed simple enough but I wasn’t sure about adding so much cocoa to one half without any additional fluid. So I put in only 2/3rds of the milk and then added the remaining 1/3 of the milk to the chocolate mixture along with the cocoa. It was still stiffer than the vanilla mixture but I’m convinced the bake was more even and it was definitely easier to swirl it! I wanted my collar to stand up higher than the cake so that I could add as much topping as I liked. 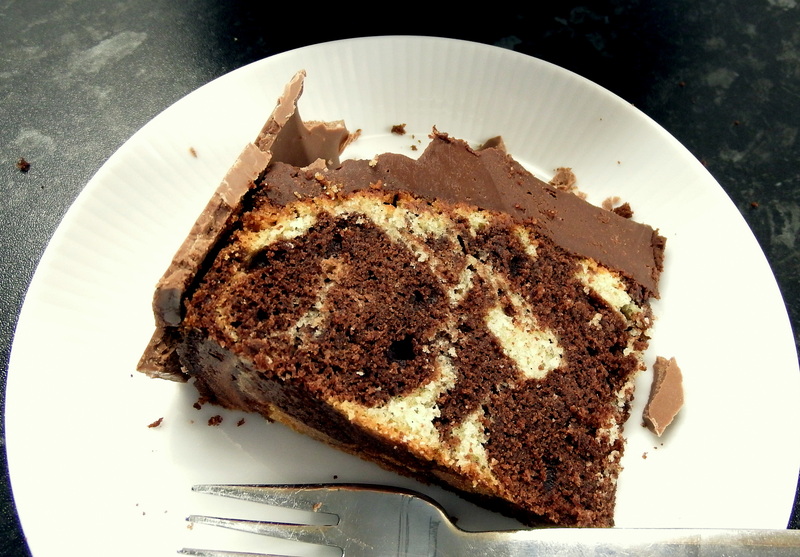 So I used 300g milk chocolate – the cake was made in a 20cm tin. This made for a collar about twice the height of the cake peak. The join on my chocolate collar – not bad for a first attempt! I let it cool so that it wouldn’t melt the chocolate collar – that could have been a disaster! To top off the cake I made these numbers out of cardboard and sandwiched a cocktail stick between the layers – so easy and effective! What celebration cakes have you made? This cake is a true work of art. Had to share this find with all of you!